Emerging market countries may well represent the greatest opportunity for growth in the private equity industry over the coming years, and in fact, we’ve already seen PE investing in developing countries expand since the financial crisis. PitchBook data show that private equity and venture capital investing in emerging markets hit a record in 2014, with more than $65 billion invested across roughly 1,500 deals, a number that has grown every year since 2009. With rapid economic growth in emerging market countries, it’s not a surprise that private equity firms want to take part. But what are the risks involved in developing countries? What has caused many PE investors to avoid emerging markets? And how can GPs take advantage of the risk/reward profile associated with PE investing in the developing world? These are questions we recently posed to Roger Leeds, director of the Center for International Business and Public Policy at the Johns Hopkins School of Advanced International Studies (SAIS) and the founder of the Emerging Markets Private Equity Association (EMPEA). 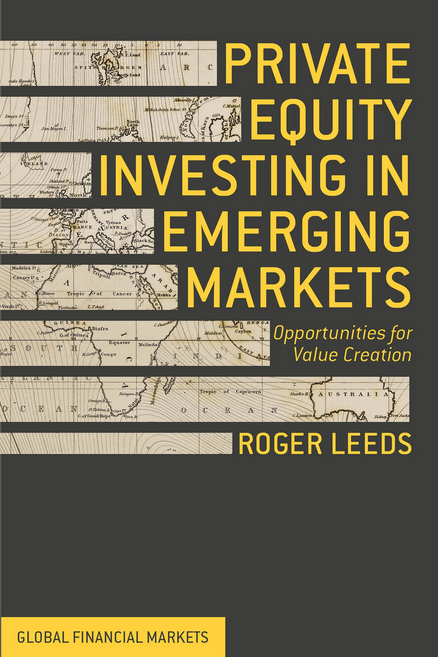 Leeds discusses these issues in this Q&A; and his recently released book Private Equity Investing in Emerging Markets: Opportunities for Value Creation answers many of these questions, and investigates the risks and potential returns associated with developing country PE investing. Q: What was your motivation for writing Private Equity Investing in Emerging Markets, Opportunities for Value Creation? Similarly, as I have learned firsthand, although the curricula in many of the most prestigious MBA programs have superb courses on private equity, very little attention focuses on the distinctive characteristics of the asset class in developing countries compared to industrialized nations. In my view, somewhat ironically, these business schools (as well as graduate schools of international affairs) have been lagging behind their own market: increasing numbers of students who are deeply interested in courses that address emerging market subjects generally, and especially private equity. Thus, I was motivated to write this book with the hope that it will raise awareness and understanding of an asset class that for too long has received scant attention among many investment professionals, academics and those interested in strengthening the role of the private sector as a critical force for economic growth and poverty alleviation in developing countries. Finally, it’s worth noting that the most volumes written about investing in developing countries focus primarily on the myriad risks compared to their Western counterparts. Far less attention is paid to another, equally relevant reality: the very same risks and inefficiencies that define developing country investment climates also serve as a source of opportunities to generate exceptional private equity financial returns. The driver for writing this book, therefore, was to make a persuasive case that, notwithstanding the risks, private equity investing is even more compelling in developing countries than in the West for very specific reasons. *In my view the International Finance Corporation, a World Bank affiliate, is a notable exception to this observation. As you note, a basic premise of your book is that that private equity in developing countries should be viewed by all stakeholders as a fundamentally different asset class than in the West. What specific factors support this premise? Investors accustomed to committing risk capital in the West take for granted the presence of the building blocks that serve as the foundation for a thriving private equity industry, such as supportive government policies; confidence-inducing legal frameworks that enforce contracts and protect investors; efficient financial markets that offer firms affordable access to diverse sources of capital; a range of viable exit options; relatively stable macroeconomic and political conditions; business adherence to internationally accepted best practices, such as standards of accounting, financial reporting and corporate governance; and deep pools of entrepreneurial, operational and managerial talent. These critically important private equity success factors are markedly less robust and dependable in virtually every developing country, heightening the challenges and risks at every stage of the investment cycle. Paradoxically, however, it is precisely these shortcomings that are the source of private equity opportunities for discerning investors that have largely disappeared in most developed countries. Thus, if an asset class is defined by its risk/return characteristics, private equity investing in developing countries bears little resemblance to its Western cousin. What are some of the most telling examples of these distinctions? This unfortunate reality is a defining feature of the private sector in virtually every developing country, but for discerning investors it creates an opportunity long gone in the West due to the breadth and depth of financial markets. As a consequence, at least on the surface, the universe of companies is large, provided that they are able to satisfy the investment criteria of savvy private equity practitioners. The bulk of these potential targets resides in what is loosely defined as the middle market—an extraordinarily diverse range of growth-oriented companies that operate in an endless array of industries, such as basic manufacturing, technology and communications, financial services, tourism, energy, environmental services, infrastructure, health care, education, and even real estate. Importantly, these also are the firms that comprise the core of the productive private sector, serving as the primary source of job creation, income generation, tax revenues, and other indicators of economic development and poverty alleviation. Value Creation: In addition to problems that stem from limited access to capital, the growth prospects for most businesses throughout the developing world are severely constrained by a second resource constraint: performance-enhancing skill sets. No other class of investors is as highly incentivized or skilled at working alongside company owners and management to enhance enterprise value—the prerequisite for a profitable exit. Due to their work with countless firms that have experienced similar problems, private equity investors are uniquely qualified to perform these highly specialized tasks. It may take the form of improving products and marketing strategies, strengthening corporate governance practices, expanding access to new markets, implementing a financial reporting system to increase the company’s access to additional sources of finance, or introducing training programs to boost worker productivity. It may also include other specialized performance enhancing measures that at first glance may have a more tenuous correlation with the bottom line, such as compliance with internationally accepted environmental and health standards. Thus, unlike most businesses in Western countries, the factors that explain underperformance of many firms in developing countries become opportunities for discerning and experienced private equity investors. To view more PitchBook Blog articles on emerging markets, click here. Roger Leeds is the director of the Center for International Business and Public Policy at the Johns Hopkins School of Advanced International Studies (SAIS). Prior to joining the faculty at SAIS, Leeds was an international finance practitioner for 25 years, working as an investment banker at Salomon Brothers, a senior staff member of the International Finance Corporation (World Bank), a partner at KPMG in charge of its global privatization practice and a managing director of a major private equity firm in New York focused on emerging markets. 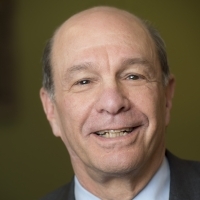 Leeds is the founder and first chairman of the Emerging Markets Private Equity Association and has taught at the Wharton School at the University of Pennsylvania and Columbia Business School. He has also appeared as a guest commentator on CBS, CNBC News, CNN and NPR, is a member of the Council on Foreign Relations and has served on various boards and advisory committees. Leeds received his Ph.D. in international relations from SAIS.